Apartment situated in Dobrota only 30 meters away from the sea. 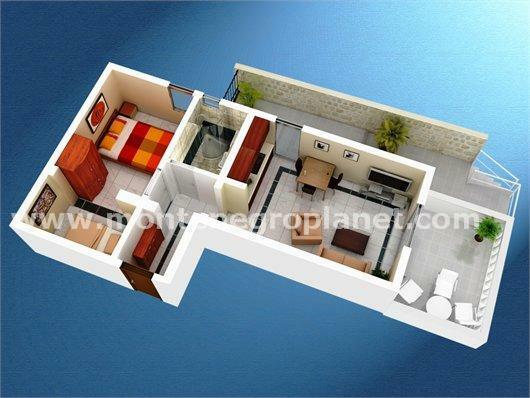 It has one bedroom, living room, kitchen, bathroom, hallway and terrace. It has been fully renovated and has great rental potential.